This vehicle has entered service at Stanley Depot. 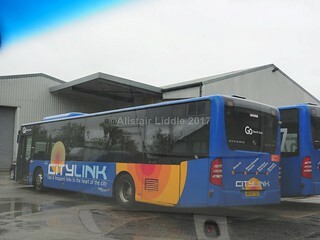 Of the batch of thirteen former Go-Ahead London Volvo B9TL/Wright Eclipse Gemini 2 vehicles to be acquired by Go North East, six are to be branded for the "Toon Link" X70/X71 services, while the remaining seven are to carry Go North East's corporate livery. 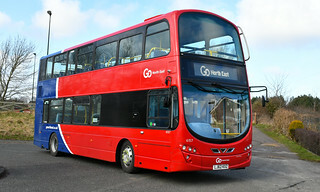 Three of the examples in Go North East's corporate livery are to be allocated to services 15/15A, and the remaining four act as spare vehicles for the double-deck services based at Stanley. 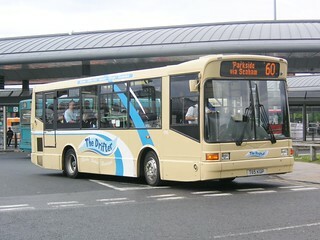 Prior to entering service at Go North East, this vehicle has received Go North East's corporate livery. 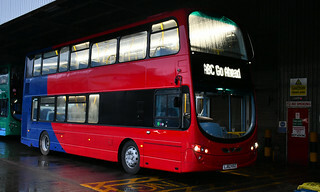 This example has been fitted with the tagline, "It's our fantastic people - all 2000 of them - that make the wheels on our buses go round and round"
New in October 2012, this vehicle was previously with Go-Ahead London General as fleet number WVL497 at Putney Garage.It was recently displaced from Go-Ahead London's fleet and purchased by Go North East, in line with the contract for service 22 (Putney Common - Oxford Circus) being retained by London General with a new allocation of 22 Hybrid double-deck vehicles (a mixture of new Volvo B5LH/MCV EvoSeti plus existing examples already in the fleet), from 21st October 2017.Representing an investment of over £1.5 million, 13 of these buses (WVL496 - WVL508) have now been acquired by Go North East. 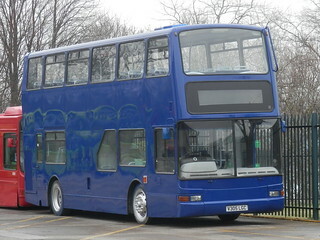 They will be refurbished and repainted at Bus & Coach World, Blackburn, prior to assimilation into Go North East's fleet.As part of the refurbishment at Bus & Coach World, Blackburn, the entire batch will undergo exterior repaint, centre door conversion, fitment of an entrance door ramp, seats re-trimmed including extra padding, seat legs, hand grabs and hand poles repainted, buggy bay created, with free customer Wi-Fi and new white LED destination displays also fitted.Mechanically, this entire batch of buses have been fitted with a new Ecolife campaigned gearbox.